Multi-award winning Artistic Director Timothy Sheader teams up with the English National Opera to rediscover Benjamin Britten’s The Turn of the Screw. Playing a strictly limited number of performances at Regent’s Park Open Air Theatre, the production is part of the venue’s 2018 season, which features As You Like It and Little Shop of Horrors. The Turn of the Screw is Benjamin Britten’s masterful reworking of Henry James’ classic novella, which follows the story of unpredictable encounters at a remote country house. With a young governess prepared to go to any lengths to protect her children, the chilling tale finds new levels of suspense at the thrilling Open Air Theatre. Directed by Timothy Sheader and conducted by ENO Mackerras Fellow Toby Purser, the production features design by Soutra Gilmour, lighting design by Jon Clark and sound design by Nick Lidster for Autograph. 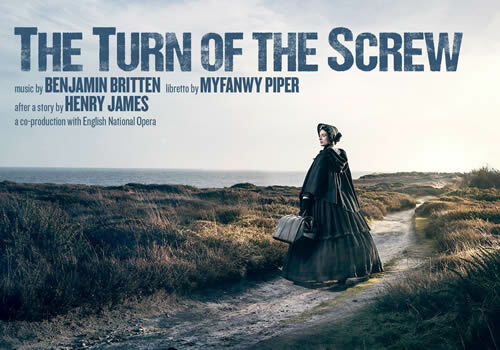 Adapted into an opera, The Turn of the Screw features a libretto by Myfanwy Piper. Olivier Award-winning Artistic Director of Regent’s Park Open Air Theatre Timothy Sheader is best known for the recent acclaimed revival of Andrew Lloyd Webber’s Jesus Christ Superstar, as well as productions including A Tale of Two Cities, To Kill a Mockingbird and Lord of the Flies. Featuring as part of the theatre’s highly anticipated 2018 season, The Turn of the Screw plays a limited season from June 22nd to June 30th 2018, with an official opening June 25th 2018. The Turning of the Screw is recommended for those in secondary school and older. Under 4’s will not be admitted into the theatre.